Gary discusses how he interviewed Joy and how to collect the personalities of Rockhopper. In this unique challenge, you will venture into different lands of Rockhoppers mind for a special prize. How cool! 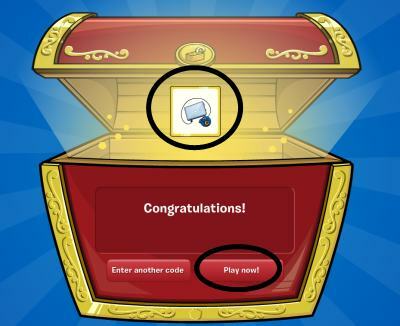 The next article in the Penguin times is about Rockhopper's pet puffle Yarr, who is currently missing. Jet Pack Guy is on the search for the puffle right now. Aunt Arctic basically says how he is so brave and a great navigator. Come home soon Yarr! August 6: penguin style, furniture catalog and new pin! The Inside Out party goes until August 5th! Get into Rockhopper's head while you can!